6 Lessons Learned Fighting Oppressive Regimes While Trying to Protect People and Planet The U.S. is bracing for President-elect Donald Trump. All initial indications are that the U.S. is in for a dramatic change of leadership, more like some of the authoritarian regimes we are used to reading about in other parts of the world. 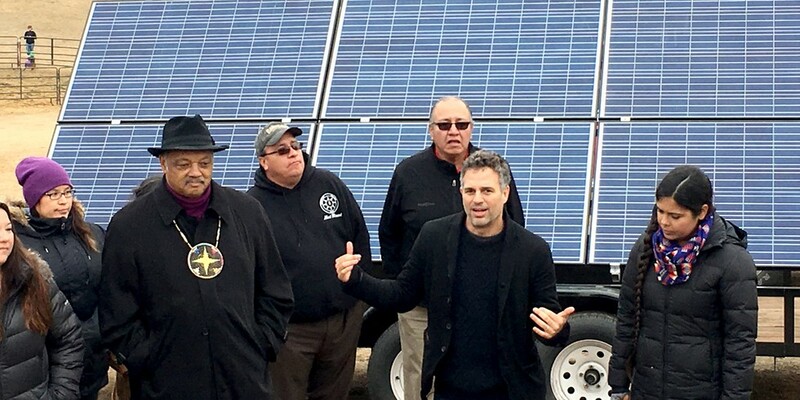 Over the last decade, I have worked as an environmental and human-rights philanthropist trying to protect people and the planet, some of that inside oppressive and authoritarian regimes. 'This is possible. We did it': the week Portugal ran on renewables | News | The Guardian Lisbon at night Renewables kept the lights on in Lisbon for four and a half days in May. Photograph: ImageBroker/Rex/Shutterstock Sam Jones in Alto Minho @swajones Monday 26 December 2016 08.00 GMT Last modified on Monday 26 December 2016 08.02 GMT View more sharing options Shares 1,710 Comments 313 If you can keep your gaze off the hilltops, imagine away the pylons and forget the occasional tractor of an uncertain vintage coughing along the narrow roads, little appears to have changed in the valleys of north-eastern Portugal for decades, perhaps even centuries. The gnarled alvarinho vines have been relieved of their fruit to make vinho verde, an old woman in black herds her sheep through a hamlet and hungry eagles hover over the fields, scanning the land for lunch. But look up, past the villages, the clumps of stout ponies and the wolf-haunted forests of pine, oak and eucalyptus, and the harbingers of an environmental revolution are silhouetted against the December sky. The 130 giant wind turbines that sprout from the peaks, slicing the air with a rhythmic sigh, have helped Portugal to a remarkable achievement. For four and a half days in May the country ran entirely on electricity from renewable sources: wind, hydro and solar power. Camesquat evicted: Game over for squatters as Camelot reclaims its former Hoxton HQ - News - Hackney Gazette Camesquat evicted: Game over for squatters as Camelot reclaims its former Hoxton HQ 16:37 02 December 2016 Emma Bartholomew Camelot outwitted the Camesquat crew, evicting them them from its Hoxton HQ Camelot outwitted the Camesquat crew, evicting them them from its Hoxton HQ Squatters occupying Camelot’s former Hoxton HQ have been evicted after security guards caught them unawares. Share article from Hackney Gazette on facebook Tweet article from Hackney Gazette Share article from Hackney Gazette on Google Pluspost article from Hackney Gazette on reddit email article from Hackney Gazette Camelot outwitted the Camesquat crew, evicting them them from its Hoxton HQCamelot outwitted the Camesquat crew, evicting them them from its Hoxton HQ The group, which dubbed itself Camesquat, took over the building in Westland Place two months ago. It is owned by the firm whose mission, ironically, is to keep squatters out of unoccupied buildings by placing “property guardians” in them. A brief history of war and drugs: From Vikings to Nazis - News from Al Jazeera A brief history of war and drugs: From Vikings to Nazis From World War II to Vietnam and Syria, drugs are often as much a part of conflict as bombs and bullets. Egypt's anti protest law: Legalising authoritarianism - News from Al Jazeera w: Legalising authoritarianism How the Egyptian regime used the law to crack down on opposition and isolate voices of dissent. Listen to this page using ReadSpeaker Share via Facebook Share via Twitter Comments Print Egypt's military generals have constantly employed repressive tools to instill fear among the population [Getty Images] byAmr Hamzawy Senior Associate, Middle East Programme, Carnegie Endowment for International Peace. Since the summer of 2013, following the military coup led by President Abdel Fattah el-Sisi, the ruling regime in Egypt has managed to handcuff the public space, surround it with restrictions. This has been in a stark contrast to the period before the coup when Egyptians, during the popular uprising that took place on January, 25, 2011, were encouraged to engage actively in managing the country's affairs through peaceful means and ballot boxes. This period benefited both civil society organisations and political parties. Huge rise in hospital beds in England taken up by people with malnutrition | Society | The Guardian ‘Poverty is causing vulnerable people … to go hungry and undernourished,’ shadow health secretary says. ‘Poverty is causing vulnerable people … to go hungry and undernourished,’ shadow health secretary says. Photograph: Christopher Furlong/Getty Images Denis Campbell Health policy editor Friday 25 November 2016 17.26 GMT Last modified on Friday 25 November 2016 22.00 GMT View more sharing options Shares 3,199 The number of hospital beds in England taken up by patients being treated for malnutrition has almost trebled over the last 10 years, in what charities say shows the “genuinely shocking” extent of hunger and poor diet. Official figures reveal that people with malnutrition accounted for 184,528 hospital bed days last year, a huge rise on 65,048 in 2006-07. The sharp increase is adding to the pressures on hospitals, which are already struggling with record levels of overcrowding. Critics have said the upward trend is a result of rising poverty, deep cutbacks in recent years to meals on wheels services for the elderly and inadequate social care support, especially for older people. 100 Women: Jeanette Winterson helps children rewrite Cinderella - BBC News Jump media playerMedia player helpOut of media player. Press enter to return or tab to continue. 100 Women: Jeanette Winterson helps children rewrite Cinderella 22 November 2016 Last updated at 02:50 GMT UK author Jeanette Winterson has helped school children re-imagine the fairy tale Cinderella for a new generation. As part of the BBC's 100 Women season, she visited a primary school in the Cotswolds to discuss ways in which Cinderella is sexist and then asked the children to come up with their own version. Video journalists Kelvin Brown and Jack Slater, produced by Sarah Buckley. Standoff continues over Dakota pipeline protests — RT America Police use a water cannon on protesters during a protest against plans to pass the Dakota Access pipeline near the Standing Rock Indian Reservation, near Cannon Ball, North Dakota, U.S. November 20, 2016 © Stephanie Keith Police use a water cannon on protesters during a protest against plans to pass the Dakota Access pipeline near the Standing Rock Indian Reservation, near Cannon Ball, North Dakota, U.S. November 20, 2016 © Stephanie Keith / Reuters 641 The standoff over the $3.8 billion Dakota Access Pipeline continues after a night of clashes left over 180 people injured. Images of some of the gruesome injures are starting to appear on social media. 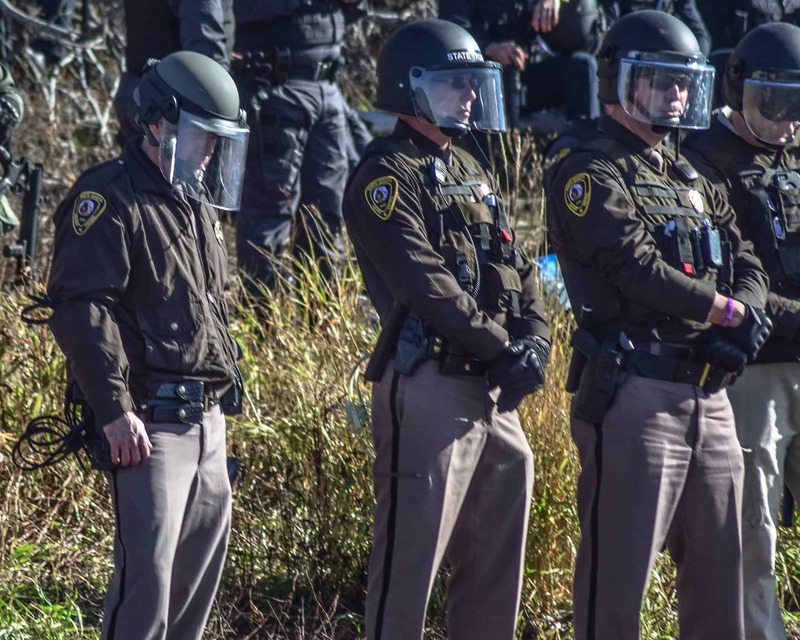 Trends Dakota Access Pipeline Dakota pipeline protesters and police began to gather again on the Backwater Bridge on Monday mid-morning. The AP reported police told the crowd they had identified firearms among the protesters and said people who were armed should leave. They also warned people who went onto the bridge could be arrested. By early afternoon, protesters had backed away from the bridge leaving about a dozen remaining. Mexican pyramid has two more inside, scientists discover | World news | The Guardian The Kukulkan pyramid has two more nested inside, archaeologists have discovered. The Kukulkan pyramid has two more nested inside, archaeologists have discovered. Photograph: Alamy Stock Photo Agence France-Presse in Mexico City Thursday 17 November 2016 00.52 GMT Last modified on Thursday 17 November 2016 01.13 GMT View more sharing options Shares 41 Experts have discovered a third structure within the Kukulkan pyramid in eastern Mexico, revealing that it was built like a “Russian nesting doll”, experts said on Wednesday. A 10m tall pyramid was found within another 20m structure, which itself is enveloped by the 30m exterior visible at the Mayan archeological complex known as Chichen Itza in Yucatan state. Reclaim the Streets occupy Camden High Street | Actipedia PRACTITIONER: RECLAIM THE STREETS DATE: MAY 14 1995 LOCATION: LONDON ENGLAND A collective resistance movement dedicated to reasserting communal ownership of common spaces, Reclaim the Streets staged its first action on Camden High Street in 1995, when activists closed the road to vehicle traffic to make way for a street party. 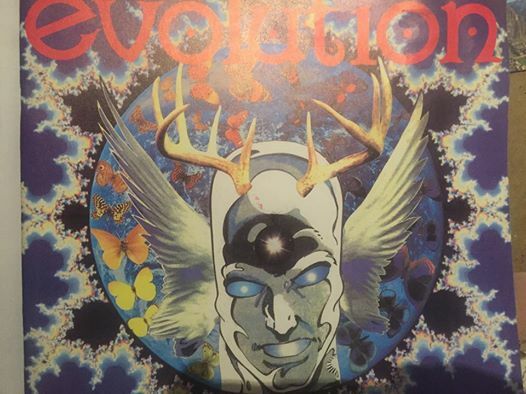 Combining the tactics of non-violent direct action with 90's UK rave culture, organizers kept the location secret until the last moment to preempt police interception. 2016 'very likely' to be world's warmest year - BBC News droughtImage copyrightGETTY IMAGES Image caption 2016 has seen high temperatures lead to devastating droughts in many parts 2016 looks poised to be the warmest year on record globally, according to preliminary data. With data from just the first nine months, scientists are 90% certain that 2016 will pass the mark set by 2015. Temperatures from January to September were 1.2C above pre-industrial levels, according to the World Meteorological Organization (WMO). The body says temperatures should remain high enough for the rest of the year to break the previous record. Climate change may be escalating so fast it could be 'game over', scientists warn | The Independent It is a vision of a future so apocalyptic that it is hard to even imagine. 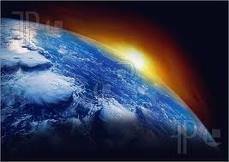 But, if leading scientists writing in one of the most respected academic journals are right, planet Earth could be on course for global warming of more than seven degrees Celsius within a lifetime. And that, according to one of the world’s most renowned climatologists, could be “game over” – particularly given the imminent presence of climate change denier Donald Trump in the White House. 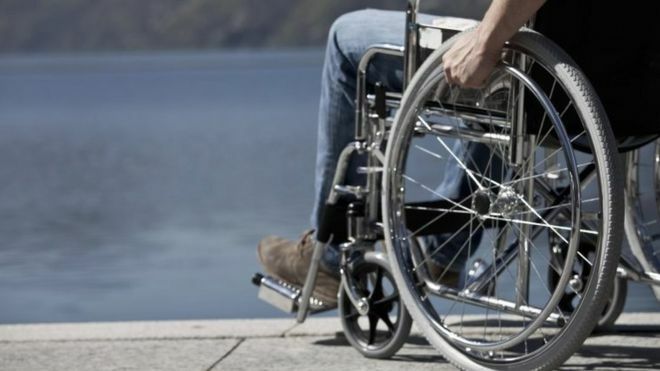 UK welfare reforms have led to "grave and systematic violations" of disabled people's rights, a UN inquiry has said. Changes to benefits "disproportionately affected" disabled people, the UN Committee on the Rights of Disabled Persons (CRPD) found. The UK was the first to be investigated under a UN convention it has been signed up to since 2007. At least two police officers turned in their badges today after acknowledging that attacking peaceful protestors is not what they signed up for. With the news that more than 540,000 people – more than 1 per cent of the population – now follow a vegan diet, 2016 has become the Year of the Vegan. But if you’re yet to be convinced, here are five compelling reasons to ditch animal products for good. There’s nothing like beginning an article with a little light-hearted doom-mongering, but animal agriculture is wreaking havoc on our planet. It is a leading cause of climate change, habitat destruction and species extinction. A recent State of Nature report found that intensive farming has an "overwhelmingly negative" impact on nature, threatening more than half of UK species. As if this wasn’t enough, we could soon be contending with widespread antibiotic resistance due to the use of the strongest antibiotics rising to record levels on European farms. Animal agriculture is leading us to the brink of a superbug epidemic which, according to the UK chief medical officer, poses a "bigger threat than terrorism" to human life. Last week the UN General Assembly's Disarmament and Security Committee voted for negotiations to begin next year on a new international treaty to prohibit nuclear weapons, writes Rebecca Johnson, bypassing the stalled Non Proliferation Treaty. One immediate consequence is to make the UK's plans to replace its Trident nuclear missile system 'completely untenable'. Veggy/Vegan cafe food and amazing cakes. A bill banning hydraulic fracturing, or fracking, in the Republic of Ireland was voted through the Dáil Éireann (the country's House of Representatives, so to speak) on Thursday. During a televised debate over the bill, a number of speakers passionately argued that unconventional oil and gas operations have significant adverse effects. According to the Irish Examiner, the bill's passage is "the first step in enforcing a nationwide ban on fracking and it will give the Government 12 weeks before it goes before further parliamentary scrutiny." The bill has now been moved to the committee stage for further review. Fracking does not currently take place in the Emerald Isle but three exploratory licenses have been granted. 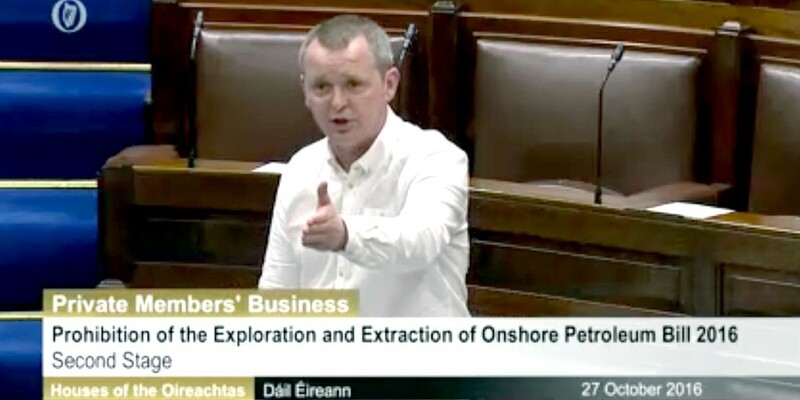 The bill, The Prohibition of the Exploration and Extraction of Onshore Petroleum Bill, was introduced by Dáil member Tony McLoughlin, TD of the Fine Gael party. McLoughlin currently represents Sligo-Leitrim, a constituency that has been marked for potential shale gas exploration. The legislation initially faced a potential eight-month delay to allow for Ireland's Environmental Protection Agency to issue a report on fracking, but the Government ultimately decided not to table the proposal. During a televised debate over the bill, a number of speakers—across parties, no less—passionately argued that unconventional oil and gas operations have significant adverse effects, including its threat to human health, that it pollutes water and drives climate change, and would hamper Ireland's emissions targets. Oisin Coghlan, the director of Friends of the Earth Ireland, live tweeted the entire debate. "Fracking has no place in a low carbon future," said Joe Carey, Fine Gael TD for County Clare, according to Coghlan's tweet. Campaigners for Dalston music venue Passing Clouds will have the chance to buy the building after it was given protected status by Hackney Council. The independent music hub in Richmond Road has been closed since bosses were evicted in August and thousands have joined a campaign to save it. And now the building has been made an Asset of Community Value by the town hall, meaning should owners Landhold Developments look to sell the building, the community will be given six months to buy it. The news will be music to the ears of all involved with the venue, which has been supported by artists including Paloma Faith, Gilles Peterson, Norman Jay and even London mayor Sadiq Khan. Come and join in the celebration of historic and ongoing social struggles to secure ways to live equitably and sustainably on the land. The New Putney Debates is celebrating the anniversary of the Charter of the Forest - the twin charter to the Magna Carta - over the weekend of 5/6 November, as part of the build up for the 800th anniversary of the Charter that falls next year. The Charter of the Forest granted rights to commoners to live from the land; in the forests, chases and commons of England and Wales. Still relevant and radical today, the Charter granted the idea of a general right to a sustainable existence from the fruits of the commonwealth. The first ecological Charter, it provides for sustainable use of the land, with people over successive generations using it to keep land in common usage. The upcoming weekend of events which The New Putney Debates collective (https://thenewputneydebates.com ) is organising will explore the history behind the Charter of the Forest agreement and contemporary struggles for land - from the legends of Robin Hood, to fights and struggles to access land for food and against enclosure, and more contemporary social movements for housing, against privatisation and to protect local ecosystems, in the face of encroaching development. Launching at 2pm on 5th November with a boat trip to Hackney Marshes, which is still a commons, attendees will find out about the history of land use there, including recent efforts by local people to ensure that Olympic regeneration did not ruin the local habitat and to keep land publicly accessible. The Fordham Gallery barge will then return to its mooring in Hackney Wick to exhibit a timeline, from London's early beginnings, of the historic struggles for land and democracy in the city and Thames Valley, up to the end of the 13th century when the Charter of the Forest entered statute together with the Magna Carta. In the evening, starting at 7:30pm, Fordham Gallery will host a boat party, with Robin Grey leading a sing-a-long of Land and Housing protest songs from folk history, drawing on the show ‘3 Acres and a Cow’. This will be followed by an acoustic set from Pete Deane, Tim Flitcroft and friends, followed by pizza and a land and rebel song set. Please bring along your favourite track to play! On Sunday 6th November, there will be a guided walking tour, exploring the history and meaning of the Charter of the Forest, starting at Lambeth Palace, where peace accords were agreed between the Barons and the King on 11th September 1217, and ending at StPaul's Cathedral, where the Charter was agreed on the 6th November 1217 . ☼ Beautiful Tribe! READY FOR SATURDAY! ★ See you at 6pm, make the best out of your Experience! THIS IS A FUNDRAISING EVENT FOR our Big Community Project ONENESS PYRAMID USM, the Land for All the Tribes in London! Today Friday 14th at the Bank of No Money, 90 Deptford High Street from 8pm till 1am: Open Mic, Acoustic music, surprise guests, DJ set!! Donation bar and door. Records detailing as many as 181,000 rounds of depleted uranium munitions shot in 2003 by American forces in Iraq have been unearthed by researchers, representing the most significant public documentation of the controversial armament's use during the US-led invasion.